Revisit the deep, dark, and dangerous jungle in Jaguar Princess 2! High 5 Casino’s 204th game arrives soon! Surrounded by fierce animals, exotic plants and mystery, this thrilling sequel welcomes you once again to the Jaguar Princess’ wild kingdom. Rediscover the deep, dark, and dangerous jungle where deadly creatures lurk and astounding rewards await. Dare to go deeper in the Jaguar Princess’ secluded jungle and you may find unimaginable hidden treasures! 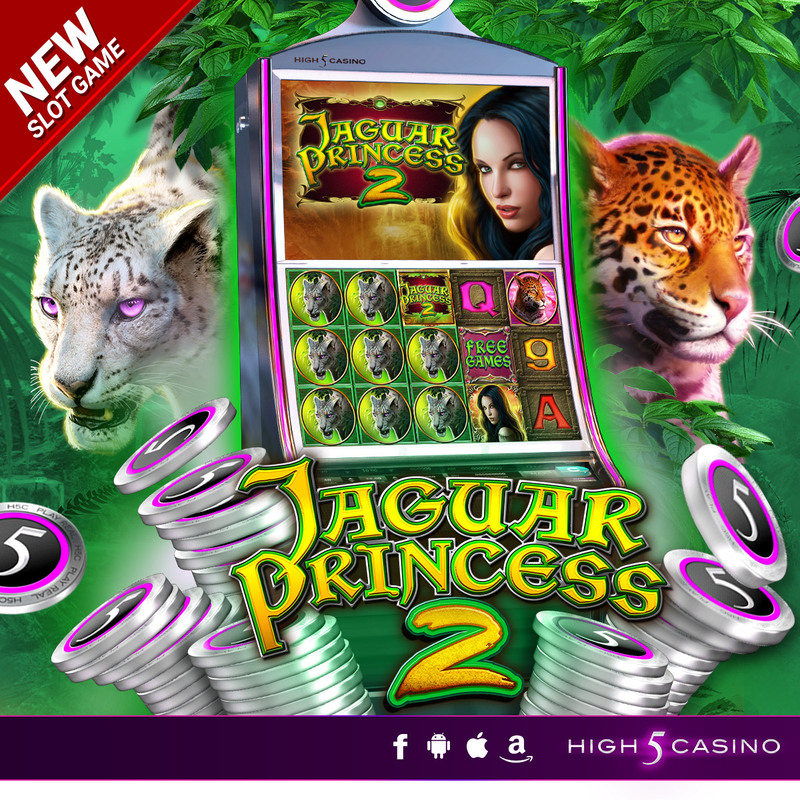 Stay brave, be fearless, and seize your second chance at greatness in Jaguar Princess! Jaguar Princess 2. The Jaguar Princess continues her reign! 3 by 5 reels. 50 paylines. Special Features: Second Chance Super Stacks and Free Games. Check the YouTube video below and get ready to prowl for ferocious wins on your High 5 Casino Reels! Are you ready to revisit the deep, dark, and dangerous jungle? Comment in the conversation bubble located on the top right corner of your screen and let us know! This entry was posted in game preview, Game Release, High 5 Casino, High 5 Games, High 5 Moments and tagged Android, App Store, Apple, Facebook, Free Games, game preview, Game Spotlight, High 5 Casino, High 5 Casino Mobile, iOS, iPad, iPads, iPhone, iPhones, mobile gaming, slots, social gaming by hoothigh5. Bookmark the permalink. Hello, Please contact the Support Team via the High 5 Help Center for assistance. It can be found by clicking on the three lines at the top left hand corner of the casino lobby. Once you do this a menu will slide open giving you the option to click on a gear shaped symbol leading you to the ‘Settings & Help’ Menu. In the settings and help menu, click on the question mark symbol leading you to the ‘Help Center’. Here you can view some of our FAQs that might be of some help to you! If you’d like to contact our Support Team for additional assistance, simply click on the ‘Submit A Request’ button at the top right hand corner of High 5 Help Center. Fill out the form and a customer care representative will email you as soon as possible.